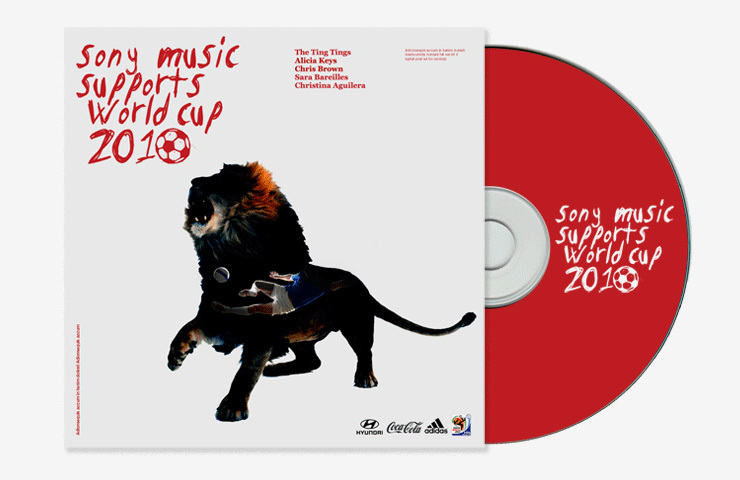 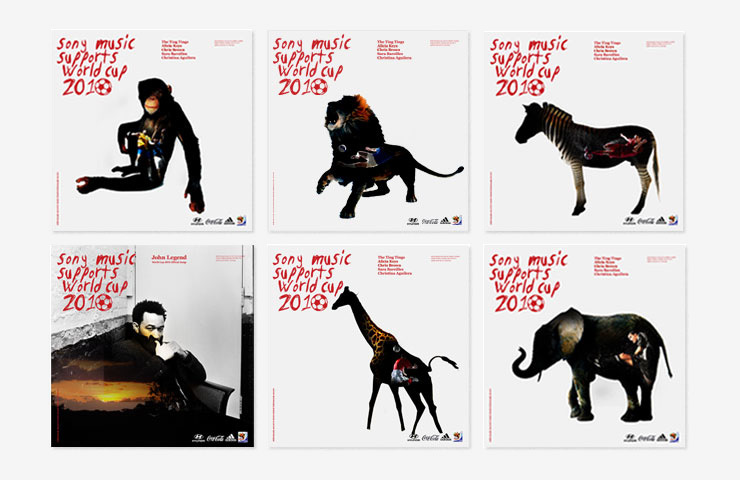 IridiumGroup developed a branded identity for the SonyMusic sponsorship of the 19th FIFA World Cup South Africa. 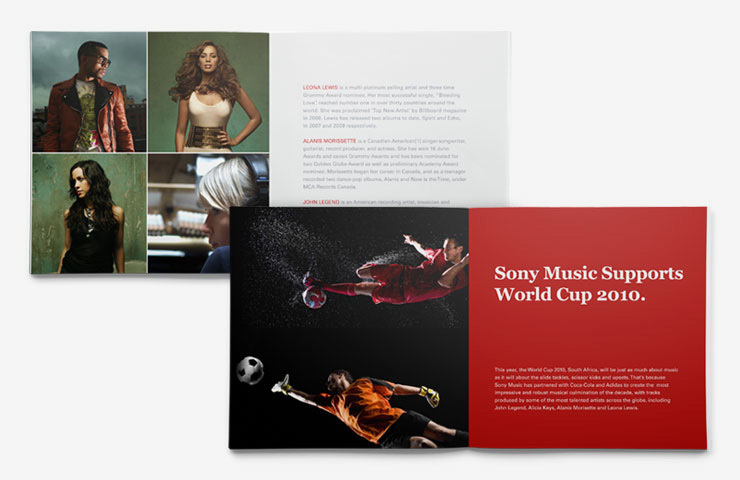 Drawing on our experience working on three Olympic Games, we brainstormed ways to promote the music of artists represented by SonyMusic such as Alicia Keys, Christina Aguilera, and John Legend, among others, who were creating the official music for the World Cup. 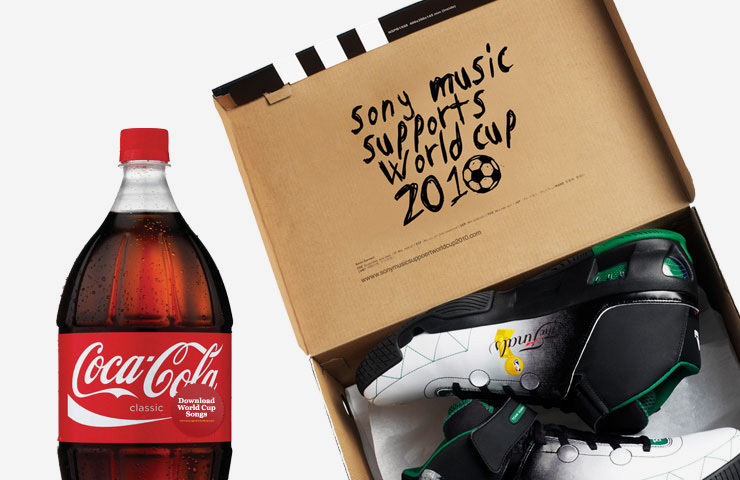 The creative presentation was driven by a clear goal to build brands through a fun, engaging system of products, which included collectible memorabilia, digital media components, and ideas promoting co-branded relationships between SonyMusic and other official sponsors such as Coca-Cola and Adidas.